Having the appropriate tools and supplies on hand is a daily requirement in every industry. Having a reliable source for industrial supplies will go a long way in mitigating the demands of packaging, coordinating, and transporting your goods on time. They also play a crucial role in the maintenance and proper operation of your workplace. Among industrial supplies, utility pull line tapes are an indispensable tool when you lay cable. They allow you to negotiate tight spaces so that you can run your cables along the most direct route available. With Hoffmeyer utility pull line tapes, you are one step closer to a more efficient workplace. The next highest demand in industrial supplies is cordage. In this, we offer braided cord, wire, three-strand twisted rope, twines, and other specialty ropes. In twine, you have the option of either cotton or a nylon braided cord. All of our ropes offer excellent grip and durability. When it comes to packaging, we supply tapes, stretch film, bubble wrap, padded envelopes, and other specialty containers to ensure that your cargo is shipped safely and efficiently. Our adhesives glues and sealants will make sure that your packages remain secure. Bundling, binding, or strapping is required to fasten an item in place and ensure its security. Steel strapping is used with heavy loads whose transportation demands as little stretch as possible. Our steel straps have surface finishes ranging from wax, paint, to bluing. For lighter palletizing and bundling work, polypropylene straps are more commonly used. Polypropylene bindings lose half of their total applied tension within an hour or so, which is why polypropylene bindings should only ever be used for soft binding purposes. Yet, as they are easy to work with, precut polypropylene strapping can be used in strapping and securing kits, making it easier to secure on the fly. Hoffmeyer has well over 90 years in this industry, and our commitment to our clients only grows. 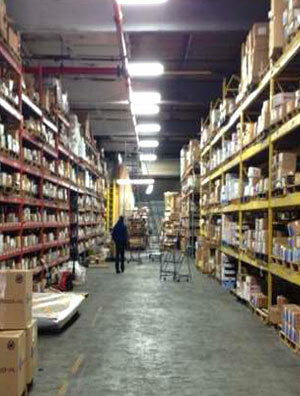 We offer the best in industrial supplies in order for you to work quickly and efficiently. Our clients count on us to supply the best quality goods and we consistently deliver. Check with your Hoffmeyer agent for more details on how we can help meet the requirements of your industry.